I’m not sure if you’re aware, but a lot of vegan foods are also Paleo foods. For example, a ton of raw and vegan dishes, made with nuts, dates, veggies, or sprouts, are also 100% Paleo. Raw, natural, unadulterated, unprocessed, delicious. Filled with flavor and nutrition, there is a lot of overlap with health foods. The reason I bring this up is because this post doesn’t really have anything to do with Paleo food or vegan food. It does however have a lot to do with a Paleo blogger and an Almost Vegan blogger. 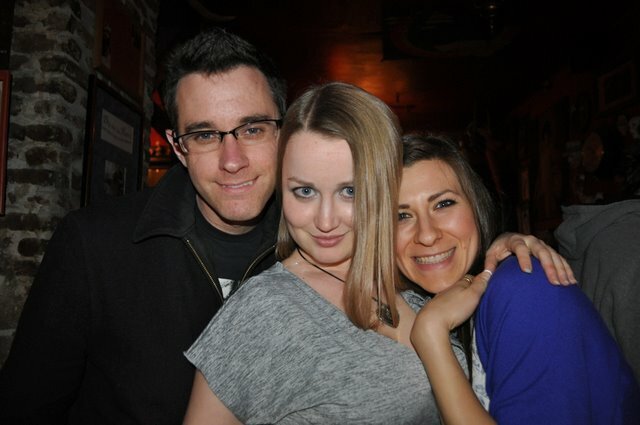 Matt, Amber, and myself. I kinda LOVE them. Pica Pica was on the menu for dinner, along with a few drinks, a lesbian bar (probably better not to ask, because we have no idea either- but it is San Francisco..), and a lot of laughing. I’m not sure I’ve ever met anyone I felt more comfortable with and felt like I’ve known forever. Amber and Matt are AWESOME. 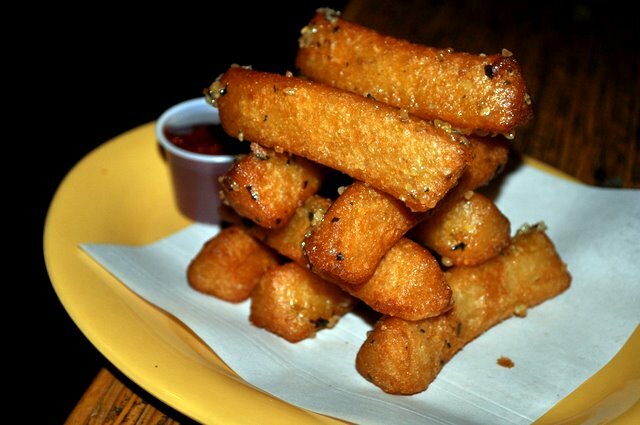 Let’s back up to dinner. Pica Pica was the meet-up spot. With glasses of wine (and a beer), we cheers’ed to hellos and new friends. Then we ordered. 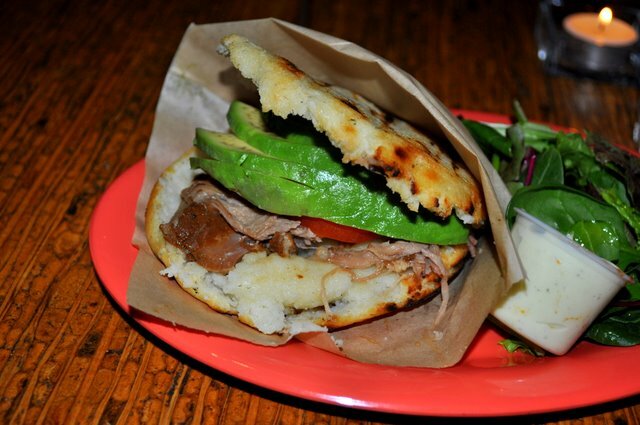 Pica Pica creates flavors of Venezuela cuisine, and done very well. All of their dishes are freshly made using local ingredients and are wheat and gluten free. 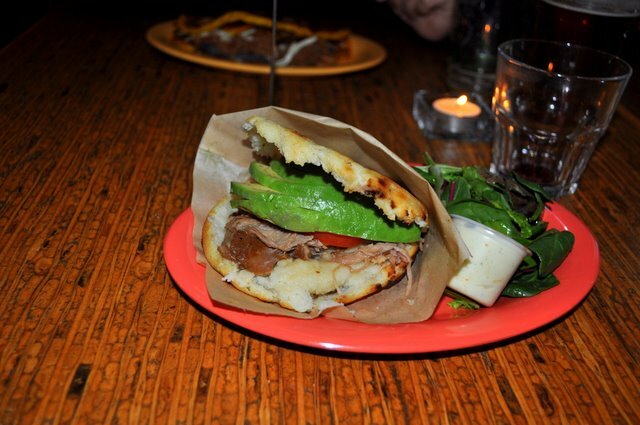 Arepas: pulled pork, sliced tomatoes, and avocado (pictured above). 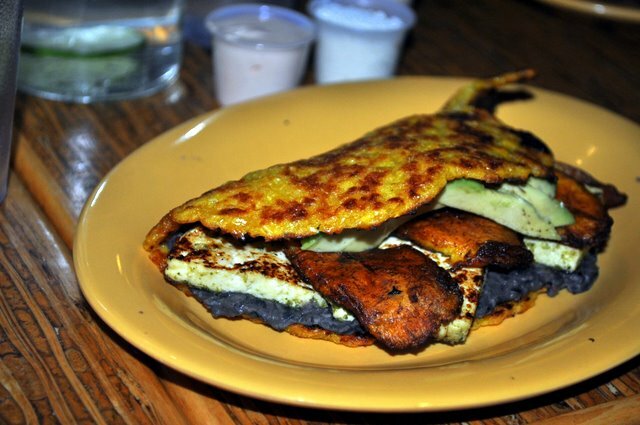 Cachapas: shredded beef, sweet plantians, black beans, queso fresco (pictured below). With a side of Yuca Fries. So that was dinner. Absolutely delicious! Pretty original and super fresh. Then we moved on to talking and drinks. 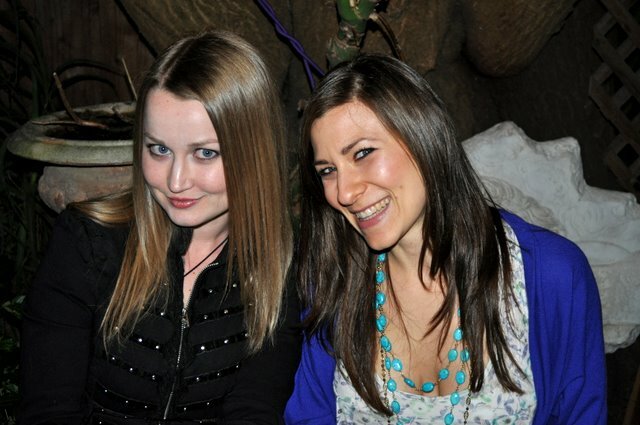 I can honestly say that I loved meeting and hanging out with Amber and her fiance. 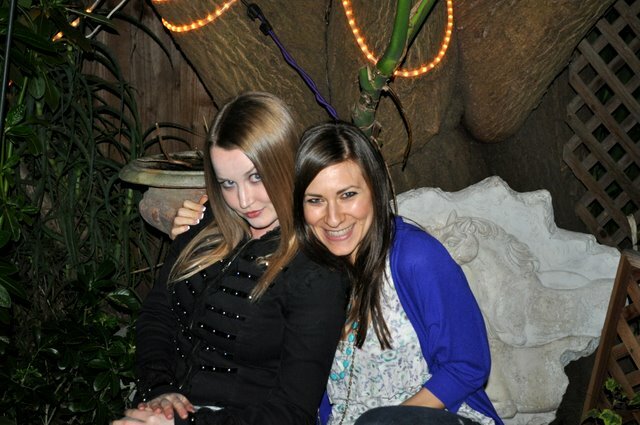 They are both incredibly awesome people with amazing personalities- hilarious, too. We chatted about her new recipe book, our plans for the future of our blogs, and just about life. And of course food and Paleo and vegan and all the wonderful things food and blogs has brought us. Haha! Just now read this. I had a super fun time with you and your beau. 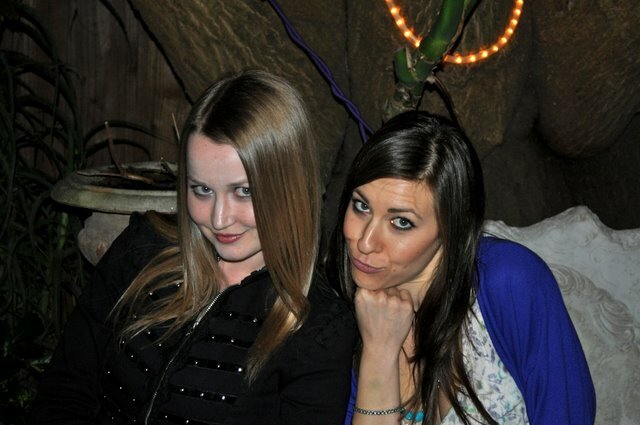 Thanks for being flexible enough to go to that “classy d___ bar” so I could see my friend Rachel. It turned out to be a great venue for conversation. I’ve been waiting for Amber to tell me when you’re coming to visit. ;-P Just make sure it’s after we move into our new place (mid-April). Then we’ll show ya some of the venues we like in KC. This is amazing. I love that you guys finally met! pica pica is my next stop. 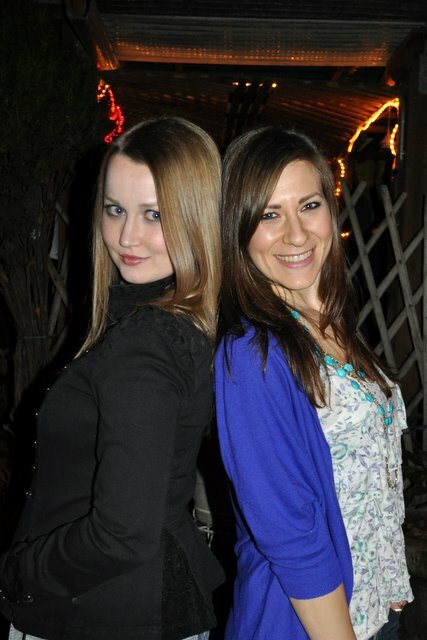 Two of the cutest bloggers ever, and seriously, that is fate! 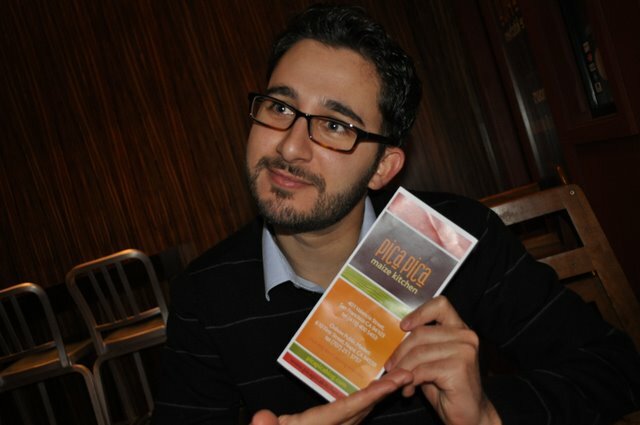 Love Pica Pica – great food. Makes me so happy to see the two of you together! Wish I could have been there. Imagine you had a blast together. Oh man you have me craving plantains!! There was this GREAT little hole-in-the-wall Peruvian restaurant in flagstaff that had the best ever plantain and yucca fries. I made them myself and they are so EASY and delicious. 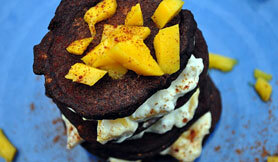 You just have to make sure that the plantains you use are really really black. Too bad I can’t get either of them here. I could gush and gush too, but let me just say that I agree with every single word you said. I mean, forget Matt – I think YOU are my soulmate. Allow me to add that it was a *wild-west-themed* lesbian bar. Kind of awesome. Dinner was delicious, you and Sascha are awesome beyond words, and I could not imagine a better, more hilarious, more fun, more awesome, more perfect night. I already can’t wait till we can do it again!! Wow that restaurant sounds incredible. I think most people who avoid processed foods or have some intolerances are eating almost vegan and paleo. I do, but it’s not on purpose, it’s just what my diet ends up being. Gay bars are the best. Every bar should be a gay bar, lol. True story. The Korma I had for lunch today was both vegan & paleo. 🙂 Both of those dishes look really yummy but I am partial to plantains. I havn’t had any in forever. Never made them myself so not really sure what to do with them.